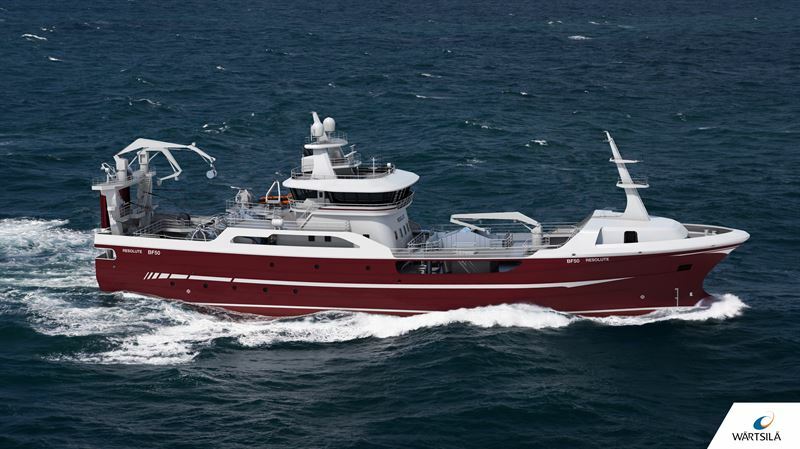 The new Wärtsilä designed ‘Resolute’ will represent the state-of-the-art in fishing vessel efficiency. “Wärtsilä has tremendous experience and an excellent track record in producing advanced fishing vessel designs, and we are confident that this latest design will meet our expectations. We also appreciate Wärtsilä’s positive cooperation during the concept development phase of this project,” say David and George West, owners. In addition to the ship design and relevant documentation, Wärtsilä will also supply a Wärtsilä 32 main engine, as well as the gear, shaft line, stern tube and controllable pitch propeller (CPP). Under a separate agreement, the company will also develop a concept that can be used for the owner’s application for an extended fishing quota.